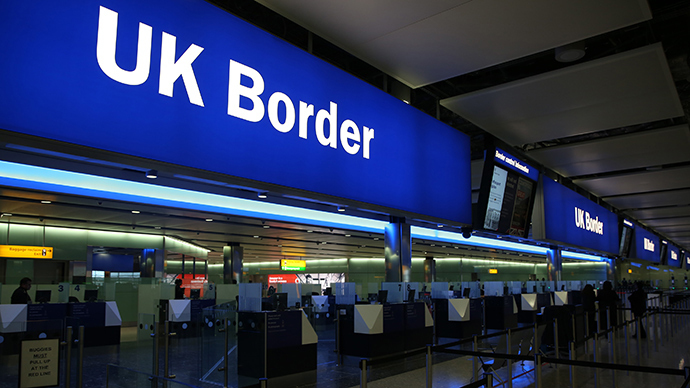 Immigration, border and customs officials feel unequipped to cope with people arriving in the UK with potential cases of Ebola, Britain’s Immigration Service Union (ISU) says. The UK’s Border Force claims staff members have been issued guidance on how to pinpoint and deal with possible cases. But Lucy Moreton, general secretary of the ISU, warns her members require more information on how to adequately cope with the threat. Moreton has reportedly stated ISU members are deeply concerned by the risks Ebola carriers entering the UK pose to immigration and customs officials' health. "They serve on the front line; they are the first point of contact usually for people coming off an aircraft and the concern is what do they do if they're confronted with someone that doesn't appear well who appears at the border," she said. "There is no health facility at the border, there is no containment facility, and until extremely recently there has been no guidance issued to staff at all as to what they should do," Moreton told BBC Radio 4. The ISU general secretary claims she has been inundated with concerned union members inquiring how they should protect themselves against potential carriers of the deadly virus. "They are phoning us up and asking,'What are we supposed to do, how do we spot this, how do we protect ourselves?' and we can't answer that for them just now," she said. The Border Force insists the security of Britain’s border remains a top priority, and the protection of the UK populace’s health is central to its concerns. "We have well-established procedures for dealing with infectious diseases," a Border Force official said. 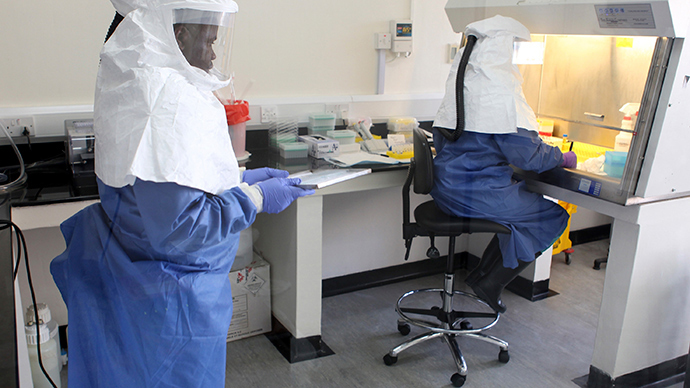 "We are currently working closely with partners such as Public Health England to minimize any potential risk and Border Force officers have already been given guidance on how to identify and safely deal with suspected cases of Ebola," he added. 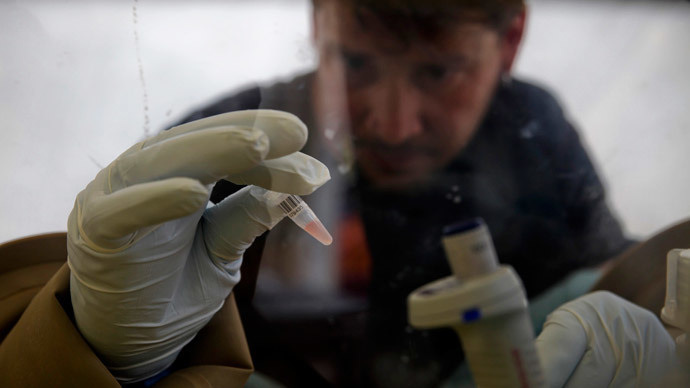 An outbreak of Ebola in West Africa, first detected in February, has resulted in almost 700 deaths. A mere 10 percent of those who contract Ebola survive the virus, but infected patients who are treated early have the best chance of making a recovery. In the wake of growing public concern over a potential Ebola outbreak in Britain, Hammond said Britain’s health services have sufficient experience to deal with the risks posed by the virus. While there has been a case of Ebola in the UK, the individual in question had contracted the disease abroad, the minister said. Meanwhile, Dr. Nick Beeching, a senior lecturer at the Liverpool School of Tropical Medicine, insists the virus is transmitted by “close contact with body fluids of people that are infected." "It's not spread through the air, like let's say flu or SARS, so it's a very different kind of transmission from those infections," he told the BBC. 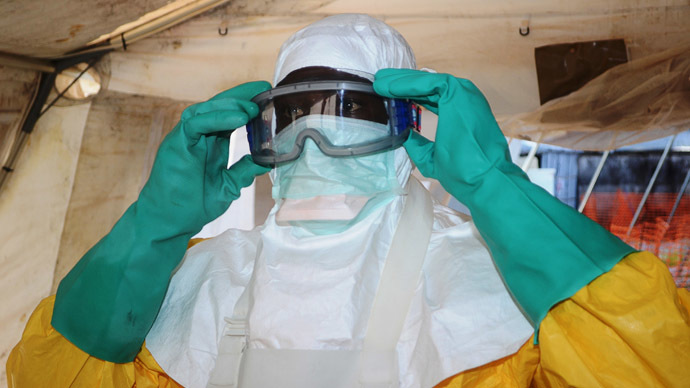 A group of West African airlines have halted flights to Sierra Leone and Liberia as concerns relating to the possible threat of the spread of Ebola from Guinea heightens. This decision was made after an American citizen of Liberian extraction had flown from Liberia to Nigeria. He was afflicted by serious symptoms while on the flight. All schools across Liberia have been closed to contain the outbreak, which has been described as the world’s deadliest to date. 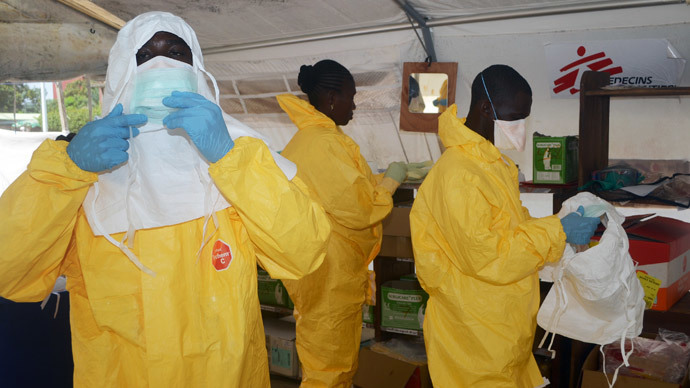 An array of Liberian communities has also been subject to quarantines, while the president of Sierra Leone has publicly declared a national health emergency. Public Health England recently issued a nation-wide alert to UK doctors to be aware of symptoms associated with Ebola.